The Blog Is Dead…Long Live The Blog! Or, so it may seem… It’s been more than 12 months since I last updated things. In a day and age where we have become accustomed to digesting information in 140 character tweets or “bestnine” instagram snaps, I have found it easier to also communicate on those terms. Stories, however, remain important so here’s a quick round-up of our adventures over the past year. 2016 saw us continue to deepen and strengthen a number of key partnerships. It has been a personal joy and delight for me to see the Scottish Surfing Federation invite us to assist with a number of their events. 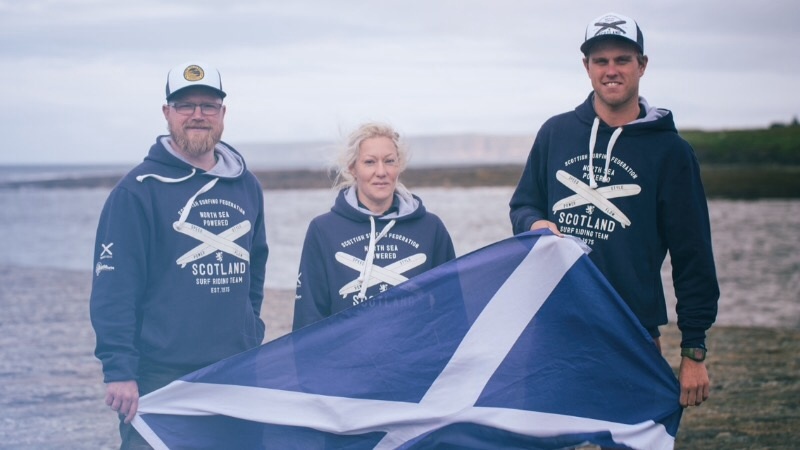 At the start of April a crew braved the strong winds and cold weather to offer hot drinks and sustenance to the judges and competitors at the Scottish National Championship up in Thurso. The event became mobile due to the changing wind direction and swell patterns with tough competition played out in challenging conditions. The end of April also saw us do something similar in much warmer conditions and rolling waves at the Scottish Lowland Longboard Contest which ran over two days at Belhaven Bay by Dunbar. There was a really great atmosphere and our very own Simon and Michael both entered with Michael taking second place overall and losing out only to the current reigning Scottish Longboard Champion – our good friend, Sam Christopherson. Not bad for Mike’s first Scottish comp! April was also a bit of a personal pilgrimage for me as I had been involved with a degree of email discussion across the Atlantic with another not for profit organisation whom I am proud to be a cheer-section for. That started with a story called To Write Love On Her Arms written on a myspace page back in 2006 and ended up with my family attending their 10th anniversary celebrations in Florida. My own reflections were published on the Rooted website which you can read here. I had also contributed an article for the TWLOHA blog in 2015 which was published in May 2016. You can read that here. June saw a few of us head off to the North Shore of Scotland for a great stag weekend/surfari. It was so good to be away from the demands of every day life and to enjoy eachother’s company, to talk about the things that really matter and to soak up the beauty that Scotland has to offer. There’s talk about that becoming an annual CS trip for those who may be interested. The Christian Surfers UK (CSUK) annual Gathering takes place in Cornwall each June. Whilst a much smaller Scottish contingent were able to attend this year, we were humbled and stoked to be awarded the trophy for CS regional group of the year for the second time in three years! It’s a real testimony to the individuals within this group and how much they love surfing and how much they love the surfers they come in contact with. July has become synonymous with SUrf Camp. 2016 was our third and much biggest one yet after becoming over-subscribed a few months before the event. Once again, it was a brilliant partnership between Scripture Union, CSUK and our friends at Coast 2 Coast surf school. The teenagers seemed to have an absolute blast with a wide range of activities complementing their daily surf quotas all packaged up with a chilled-out vibe and plenty of time to explore the topics we addressed throughout the week. The following week witnessed many of us crossing the Irish Sea to celebrate two of our crew tie the knot. It was such a perfect day! July also saw friends who we had met through CSUK three years ago relocate from Cornwall to Dunbar. Over the years, social media had given us a window into one another’s’ lives and a friendship had blossomed. When they told us in 2015 that they had been feeling more than a nudge to move to Scotland to start a fresh expression of church, we were really intrigued. It has been quite a thrill to watch how that story has begun to unfold – the highs, the lows, the in-betweens. A year ago, I don’t think any of us could have imagined the stories of others who have relocated to Dunbar and of how much benefit we have found in establishing some weekly rhythms of meeting together. It has been a beautiful collision point of stories, questions, friendship, faith and doubt. We have dared to call it more than community but to seek to reclaim the notion of this being church. In October we officially launched things and you can follow the story or join us any time. All the information can be found by searching for Discovery Church Dunbar on Facebook. October saw some of the CSUK crew wing their way back up to Thurso from Cornwall. Once again hot drinks and food were served to the judges and competitors at the UK Pro Tour event and we also had the benefit of a few days of hanging out. A few of us have also stepped up into new roles. Michael has become increasingly involved in the Scottish Surfing Federation assisting with their finances. I’ve stepped up to become a regional rep for Surfers Against Sewage with whom I have been heavily involved for the past 12 or so years. So as another year starts, it’s good to look back before paddling back out again – away from the safety of harbour and into the great depths of God. We don’t know what all it will hold, but, with booking open for SUrf Camp 2017, the dates confirmed for both the Scottish National Champs and the Scottish Lowland Longboard comp and Davina the camper-van shortly to make a welcome return from the coachworks after having corrosion treated and a fresh paint-job, there is much to put a smile on our faces and a sparkle in our eyes. February also sees my own little family officially commissioned out from Central, the home church that we had belonged to for over 20 years and whom have been so instrumental in the Soul Surfers story. With that in mind, we have decided to dispense with the Soul Surfers moniker and recognise that this has grown to encompass a much wider range of individuals scattered from the Scottish Borders to the Shetland Isles. 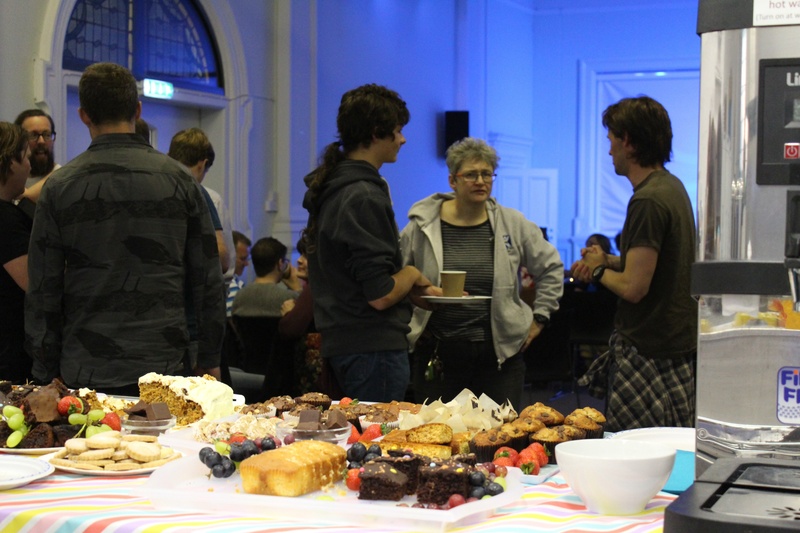 We have, therefore, dropped the name in favour of simply recognising that this has become Christian Surfers Scotland – part of the wider CSUK and CS International movements. As 2016 reached its end I found myself re-reading Tom Anderson’s wonderful “Grey Skies, Green Waves”. I hope the words he wrote several years ago about some of my friends ring true for many within the Scottish surf scene and beyond. Thanks for reading along. We’ll keep updating the blog periodically. 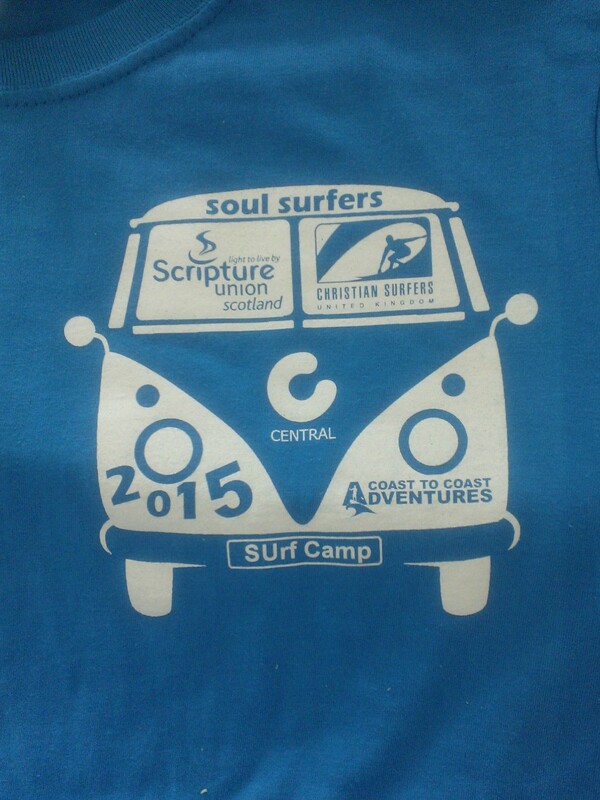 In the meantime you can follow our feeds under @soulsurfers over on Twitter or via the Christian Surfers Scotland facebook group. The 31st of December can feel like slack water – a precariously short period of time when things are still before the ebb and flow of the rhythm of our everyday existence. Whilst “the stand of the tide” is free of stress, New Years is unlikely to be. That said, it does provide a natural time to reflect, to look back before turning our gaze forwards to the hopes and fears associated with 2016. A year ago, I was musing that 2014 had seen many of those of us who were regularly meeting together relocating elsewhere. From a period of being gathered we became scattered. 2015 has been a year where I have spent much less time on the blog. But as I stared at the sea this morning, my mind was running over a surge of things that have happened this year. Five years after I was first invited to join Christian Surfers UK (CSUK) at their annual leadership conference in Croyde, North Devon, 2015 saw Michael join me as a second CS Scotland rep. We had a wonderful weekend hanging out with some of the most genuine people I have ever had the good fortune of carving out time with. Each year the return pilgrimage provides a weekend that I feed off for the whole year. There is time to plan the year ahead and it is amazing to see how hugely respected and valued CSUK is throughout much of the UK Surf scene. We are involved in almost every notable surf event that happens, often working behind the scenes and helping to ensure that events run smoothly. Our reputation has been built on transparency, servanthood and only talking about our faith if invited to. Hopefully that is becoming increasingly clear to those in the Scottish surf scene too and any suspicion about us is being replaced with favour. Another organisation we have sought to champion these past few years has been The Wave Project. They use surfing as a way of helping excluded young people grow in self confidence. This year we were able to gain access to the amazing building associated with my own church community, Central. They let us use a meeting room to help the Wave Project run an orientation training event for new volunteers. Shortly thereafter, we hired out the main auditorium with its huge screen and sound system to show “Beyond Sight”, a unique film about a blind Brazilian surfer called Derek Rabello. The story that unfolds reads like a who’s who of mainstream surfing with the likes of Damien Hobgood, Laird Hamilton, Rob Machado and Kelly Slater amongst others playing way more than cameo roles. 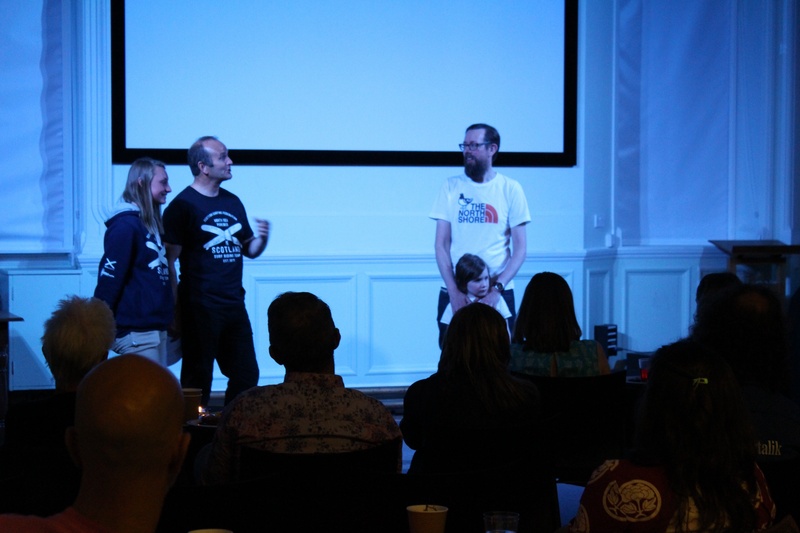 The film was really well received and the event drew over 80 surfers along and helped us raise £492 with 100% of proceeds going to the Wave Project. You can watch a trailer for the film below. The late spring saw us road-tripping the length of the country to see fellow surfers, Switchfoot play live in Sussex and Edinburgh. We got a little chance to talk surfing in Scotland and some of the things we get up to. July usually sees a crew of us making the trip down to Cornwall for the CSUK annual gathering. Michael made the journey on behalf of the team this year and had an inspiring few days with folks from all over Europe. As a family we stayed put this year as we’d been invited to the wedding celebration of friends who run the local surf school. It was one of the most beautiful evenings of the exchanging of vows I have ever witnessed. July also saw us relocate to Dunbar as a family after 20 years of living in Edinburgh. That was something borne out of a clear nudge at the end of our inaugural SUrf Camp (something Scripture Union asked us to explore developing and delivering) in 2014. Talking of which, SUrf Camp 2015 was a lot of fun. We had 50% more young people attending this year. C2C provided amazing surf instruction and the rest of the team helped us offer a wide range of activities each day. As I type these words, booking is just about to open for SUrfCamp 2016. Upon arriving in Dunbar, we were stoked to see three other members CS Scotland all relocate here too over the summer. Another amazing family connected with CSUK are currently exploring a relocation from Cornwall to join us in 2016, so we’re excited about what might unfold between us all and some others who already live here. In the meantime, we’ve kept our monthly rhythm of Soul Sundays on the first Sunday of each month where we simply throw out an open invite for brunch at our house before hitting the beach. Hopefully those days just provide time and space to hang out and deepen friendships and to do life together. September saw us run another surf movie night at Central. This time we opted for the iconic Endless Summer with 100% of the proceeds going to the Scottish Surfing Federation to help them get the Scotland Surfing Team to the EuroSurf 2015 contest in Morocco where they did us proud. Close to £400 was raised. 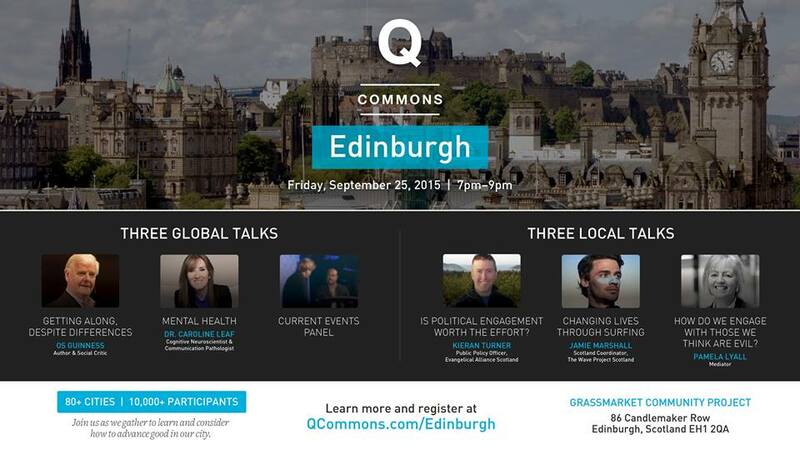 September also saw an invitation to help facilitate a talk at the third Q Commons Edinburgh event. The themes from the various speakers were anchored in: staying curious, thinking well and; advancing good. It was an honour to discuss “Changing Lives Through Surfing” with Jamie from the Wave Project. October brings school holidays and the opportunity for some of us to make another trek to Cornwall for the Jesus Longboard competition. Sadly, this year the charts and forecasts went against us with a lack of contestanle waves resulting in the rescheduling of the comp. That said, a good few of the crew had already booked accommodation in and around Polzeath. We ended up having a great family holiday whilst also spending lots of time with the wider CSUK family. October saw theUK Pro Tour weave its way up to Thurso. Once again, CSUK were invited to help with the organisation. Daren, Andy and Robin made their way up to serve hot food and drinks to competitors, judges and spectators alike. They had a great trip and, as always, it was a delight to offer a place to stay on their way there and back. I say it all the time, but one of the things I love most about surfing is the people whom I meet through it. About five years ago we met a family from outside Glasgow who pitched up at one of our beach days. We’ve kept in touch over the years and it has been a privilege to watch their own journey. It was nothing short of an honour to learn that they had all recommitted themselves this year and to be invited along to hear each of their stories of the difference that really finding a faith of their own has made. What a beautiful thing to see an entire family decide to be baptised last month. So, as this year ebbs away there is much to be grateful for. As 2016 arrives on the horizon, there is much to be excited about. They say that there is no such thing as a free lunch. I suspect that most of us have found ourselves in a position where an offer of lunch becomes transactional rather than relational by virtue of some other agenda, subtle or brazen. Then there are those other unexpected messages we get asking if we have time for a coffee or to grab a bite, the acceptance of which interrupts and brightens our day. There are also those very special moments when we glance around a table and realise in an instant that what has happened that evening is so much greater than the sum of good company, food and drink. Our dining-room table is undoubtedly the most treasured possession that relocated with us from Edinburgh down the coast-line to our new home. It’s a large hunk of wood that has weathered spillage, our childrens’ developmental artistry and much wiping down over the years. But, it is also the place where tales have been traded, friendships birthed and nurtured, victories celebrated and losses mourned. Four or five years ago we started trying to put some new loose rhythms into life. One of them was to throw out an open invite on the first Sunday of every month. The idea was to simply enjoy time with whichever sets of friends or acquaintances wanted to take us up on it. With the pace of life being such as it is I am a firm believer that we need to slow down from time to time, to create time and space in order to taste and see and savour life afresh – a mini sabbatical of sorts and a chance to enter a fresh week from a place of rest rather than after collapsing into a heap from exhaustion. So, as we increasingly feel at home in our new surroundings, we are trying to re-establish that rhythm – to throw out an open invitation pointing towards the open door of our house. It’s an invitation to friends old and new, to those in and around our new geographic community and to those from further afield. 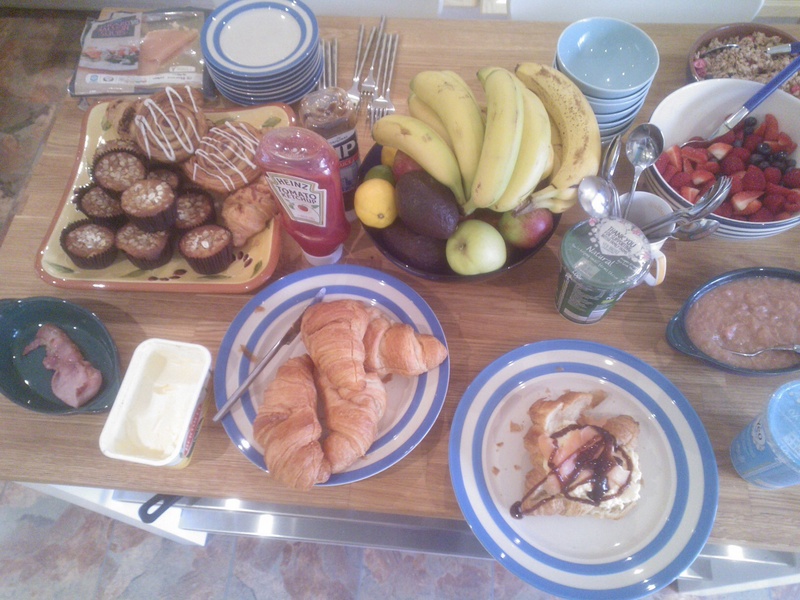 There will be hot and cold drinks, pastries and other food available this Sunday from 10.30 and plenty of space for you to bring other stuff to share together over brunch. We’ll probably wrap up and head down to the beach thereafter as is our habit to continue our conversations on dry land or out in the water. Gathering Of The Clans Rescheduled. Following on from the previous post, this weekend’s Gathering Of The Clans surf event will NOT be happening due to the forecast. It has been rescheduled for the weekend of 24th/25th October – so, please get that date in your diary. Q Commons and The Ocean Film Festival will, however, still be taking place in Edinburgh this weekend. It would be great to see you at either or both! All the info is here. Ok mes amigos, there’s a host of good events happening in and around the East Coast of Scotland later this month so I thought I’d give you a little heads up. Firstly, on Friday 25th September my friend Duncan is hosting the third Q Commons event. These nights are really stimulating as a variety of speakers (3 global talks via video broadcast and 3 delivered locally) address means of identifying and advancing the “common good” in our cities and cultures. My mind was buzzing after the last one I attended as I engaged with a bunch of topics and discussions that I may not have dealt with otherwise. Oh, and I’m helping deliver one of the local talks this time around with Jamie Marshall of Wave Project Scotland. All the info is here. 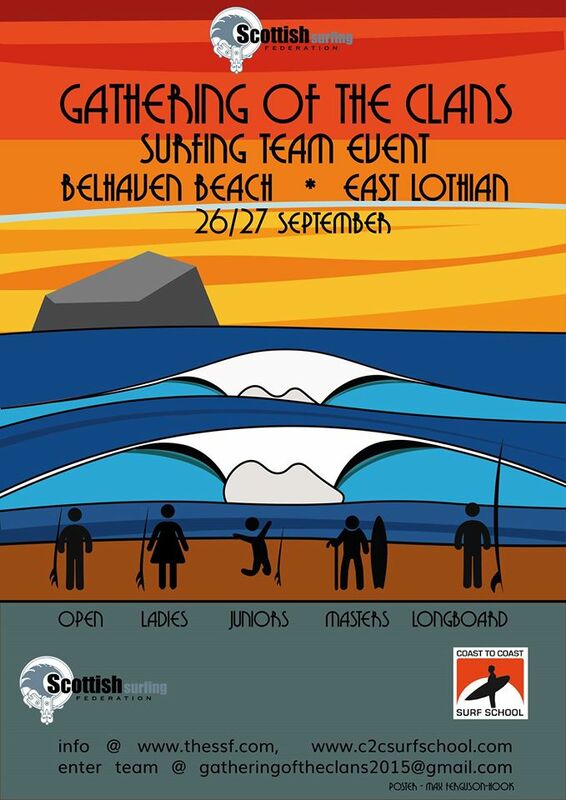 Secondly, Belhaven plays host to the Gathering of the Clans surf competition on Saturday 26th September. This will be a great chance to compete, spectate and socialise. All the info is up on the Scottish Surfing Federation website which you can connect to by clicking here. 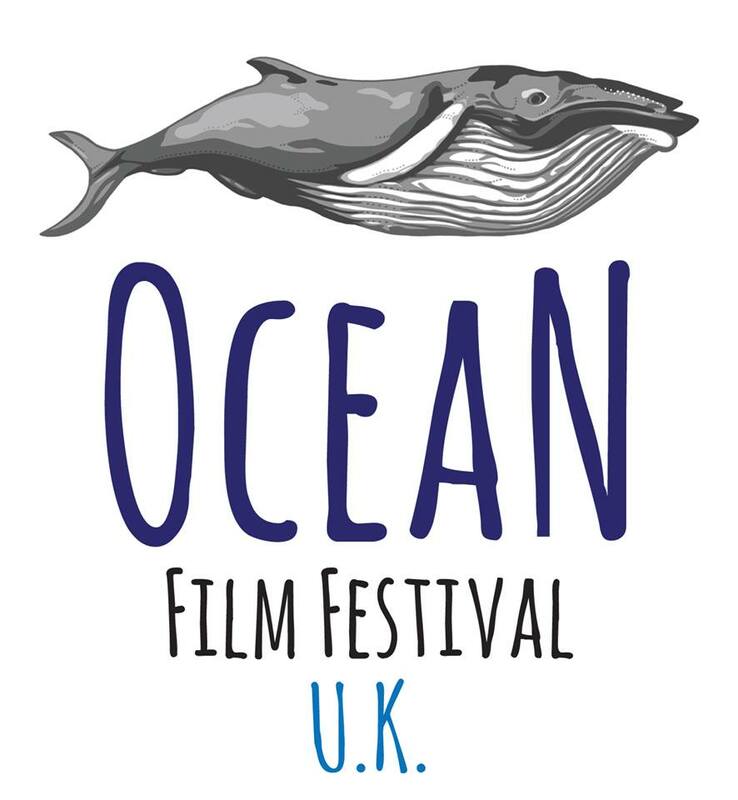 And, as if your weekend wasn’t looking busy enough already, then there is the awesome Ocean Film Festival screening at the Festival Theatre in Edinburgh from 7.30 that evening. It promises to deliver a wonderful evening of ocean cinemography. Click here to get the low-down and tickets. Now, that’ll give you something to tell your colleagues about when they ask what you’re up to at the weekend? Go, Scotland – go, go, go! A huge “thanks” to everyone who turned out for our Endless Summer fund-raising film night at Central Hall, Edinburgh last night. We hope that it created some time and space to catch up with familiar faces, put names to other ones and enjoy a classic surf film whilst raising funds for the Scotland Surfing Team. We were stoked to have Phoebe Strachan and Robby Robertson along to chat about what it’s like to be in the Team, what lies ahead at the EuroSurf 2015 comp in Morocco and the role of the Scottish Surfing Federation. 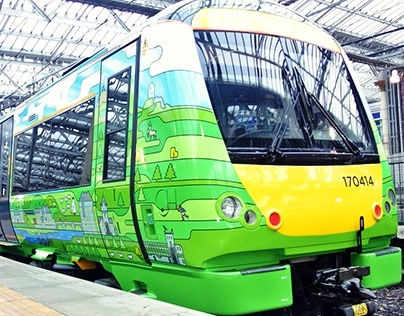 A huge “shout out” is also due to Will and JaneAnne from Staunch Industries who somehow seem to find time between designing the livery for the new Borders Railway-line train, a host of beautiful items available via their on-line shop and kitting out the Scotland Team. With 100% of the money taken at the door or for drinks and home-baking going straight to the SSF to administer on behalf of the Scotland Team we are delighted to announce that £386.32 was raised on the night. We hope the Team are feeling mucho aloha from back on these Scottish shores. 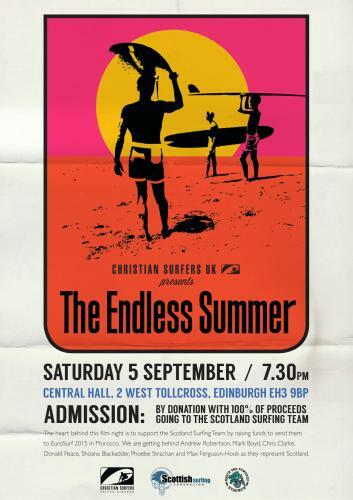 Endless Summer Fund-raiser for Scotland Surfing Team. We’re so stoked to be able to provide a rare chance to see surfing’s most iconic and timeless movie in a great venue, on a huge screen and with awesome homebaking. Entry is by donation with 100% of proceeds going to the Scotland Surfing Team for the EuroSurf 2015 contest. Whatever you’re doing on Saturday 5th September – if it’s not this, then it’s time to change your plans! The film will appeal to surfers and non-surfers alike and is suitable for all ages. This is a thing of beauty. This is home. Scotland’s for me. Thanks, as ever, to the wonderful curators and cultural anthropologists at huck magazine for sharing. It’s hard to believe that it’s a year since I sat here typing words about a seemingly hair-brained idea that birthed a new friendship and a commitment to launch the inaugural SUrf Camp back in summer 2014. Twelve months on and the lure of adventure, coupled with a large dollop of providence, saw a hand-picked team of awesome volunteers and a bunch of amazing teenagers from across Scotland, the South of England and, even, Switzerland immerse themselves in the antics of SUrf Camp 2015. We had 50% more campers than last year, which meant splitting the group into morning and afternoon surf sessions and simultaneously running a menu of activities back at camp. I have a great selection of polaroid pictures in my mind of: an impromptu ceilidh; some dare-devil sand-dune surfing; an innovative home-made water slide; a crazily competitive game of girls against boys football with the biggest inflatable ball known to man; faces exhausted and crying with laughter on inflatable obstacle courses; a large aerial art-attack project involving squirting paint from a zip-wire slide; exploring some trails on mountain-bikes; learning as Alasdair from Surfers Against Sewage presented about the problems of marine litter followed by everyone rolling up their shirt-sleeves only to be dumbfounded at the amount of micro-plastics we found on a, seemingly, clean beach. Most of the teenagers hadn’t surfed before and it was awesome to watch the daily Go-Pro footage of how everyone gave it 110%. Whilst the filming from the start of the week would be appropriately sound-tracked by “Wipeout!”, the confidence and ability of the group improved markedly by the day as the waves also got bigger. There were big smiles, slides, glides, hi-fives and a few impressive tricks in the “expression sessions”. Then, of course, there was a memorable coasteering session where people launched themselves off rocks in to the sea. Personally, I took such delight in watching some of my friends at Coast 2 Coast surf school invest so personally and to offer such specific advice and encouragement to each individual. It was really awesome, once again, to see people from different parts of my life coming together to help make something good happen. The theme of the week was “I Am Here: Here Am I”. There was a recognition that just because someone attends a Scripture Union holiday, it doesn’t mean they necessarily share the same experience or beliefs as some others on the camp. With that in mind, our evening sessions considered stories from the bible involving water and people’s encounters with God at those times. At first glance many of these stories sound like the childish things many of us associate with Sunday School involving the characters of: Noah; Moses; Johah; Jesus and; Peter. The aim was to explore how we interpret those stories and to see what application there could be for life in our very different looking society today. As well as exploring these ancient stories, most of the team leaders briefly shared something of their own stories too – some of events over many years, some of occurrences in recent days or weeks or months. Those stories were left to drift during the week for people to explore or dismiss. We had small group times each evening where we chatted about life and encouraged a natural conversation about how the themes of the week were engaging with people and what they themselves thought. We were there to listen as much as to talk and I think those times were precious. 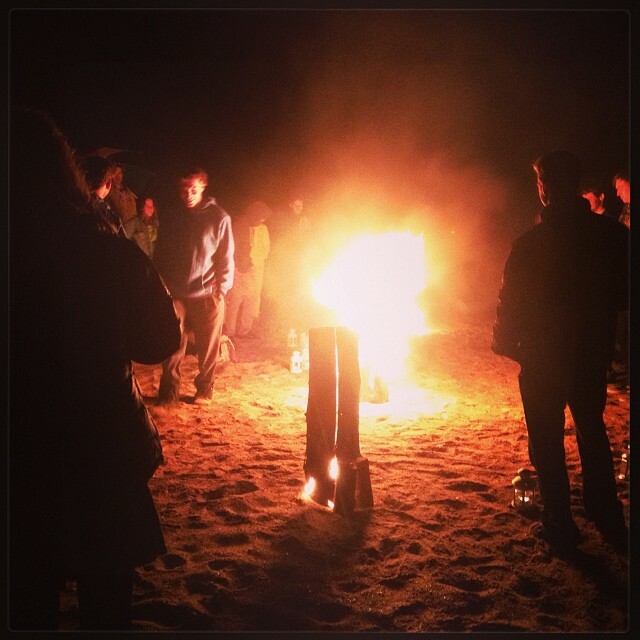 The week ended, as all such weeks should, with a ho-down late at night on the beach with a camp-fire blazing and sending embers and sparks skyward like our thoughts and hopes and fear and dreams and prayers. It was so good to work in partnership and a huge thanks is due to everyone who got on-board. As the Christian Surfers UK motto for 2015 reads, “Working together: achieving more”. This little video edit prepared by JW ought to give you a flavour of things. Till next year – stay stoked! The wedding party was over but still a few of us lingered, and so the bride and groom led us smilingly into the dark summer’s night. Each of us held a small lantern, a candle glowing and flickering within, and each of us tucked a log under our arm, carrying our share of the load for the beach campfire. And each in our turn would pass the guidance, the direction, the call for caution, to the one behind, each in our turn leading where the next would follow. The lamplight burned low and the vast wetland before the beach stretched blackly all around. The night had reduced all to deep blues and the indefinable colours that light’s absence can create. We only knew who to follow, we only knew that the next step to take was the one we could see, right before us. As the candles became dim we joked nervously about finding our way home once the sun rose again. As the candles became dim we muttered, wondering when this had seemed like a good idea. As the candles became dim we grew uncertain of our footing. Who was it leading us? Could we really trust them? Did they really know where they were going? Because we couldn’t see more than our toes, we couldn’t…. …and then I stumbled, foolish and distracted. I stumbled when I stopped looking, and the ground and my feet lost contact with each other, and I lost contact with the feet in front of me, and I lost contact with… and then I was up. Laughing again at my own foolishness, suddenly resolute, I paid attention. Somewhere along the way grassland turned into sandy dunes of marram grass and then there it was. The sea, there, waiting for us. Just where it had always been, suddenly obvious. Suddenly the route made sense and with relief we cheered and joked. Of course, of course we’d made it. We lit the fire, we threw our carefully carried logs on and, with the shared joy of passing a shared test, we smiled at each other across the flames. P.S. If you like what you see here, then you can find more reflections from a variety of voices in our home church congregation by clicking here. Find out how to support Davina The Campervan: A Mobile Sacred Space.